Hargeisa, Somaliland – Professor Ahmed Samatar represents different things to different people, but one thing that undeniably dominates his character is that he is an eminent scholar seeking to revive common decency and good values in the Somali people. However, the rapturous welcome and adulation that he received during his much awaited homecoming to Somaliland may have raised more questions than they answered. The root cause of such bewilderment is the different expectations that the various sectors of the Somali people have about the outcome of the professor’s country-wide tour and the rationale behind his decision to visit Somaliland despite his well known political position as an ardent advocate of Somali unity. 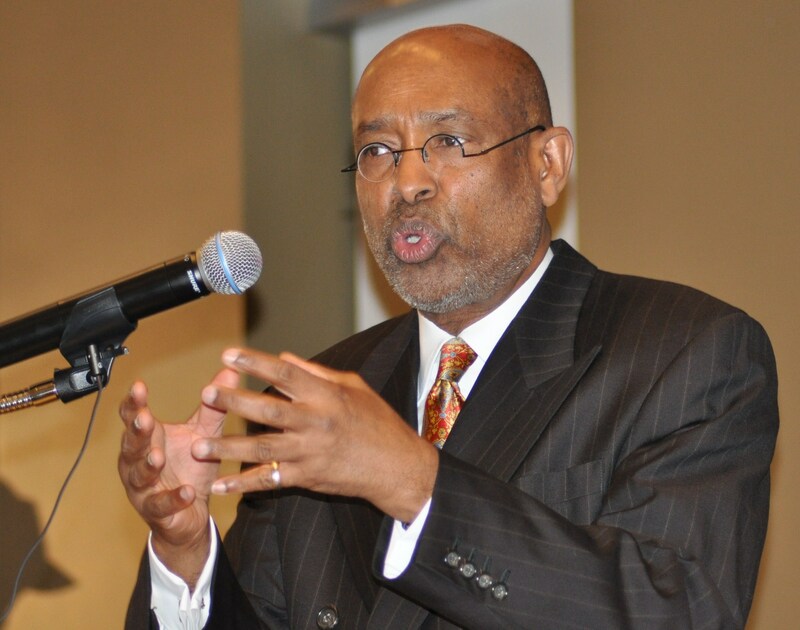 Famous for his unmatched eloquence and brilliant scholarship, Ahmed Samatar has until now skirted the thorny issues and instead concentrated on his long term mission of bringing political and cultural enlightenment to the Somali people, particularly by engaging with local universities, community leaders and women and charming them with his suave manners and Aristotelian persuasion. I will, therefore, try in this piece to look at the different perspectives that the different sectors of the Somali people might have regarding Ahmed Samatar’s visit. Inspired by the Greek poet Archilochus who said: ‘The fox knows many things, but the hedgehog knows one big thing’, Isaiah Berlin, the eminent 20th century social and political theorist, had categorized people into “hedgehogs” or “foxes” in his famous essay entitled “The Hedgehog and the Fox”. In real life, according to Berlin’s theory, we know that when in danger the hedgehog rolls into a ball, exposing its pointed spikes outward as a defense mechanism, but the fox uses many tricks to deal with threats and to fight for its survival. This means that some people like to deal with the world as it is, in one single approach. They fear change. Such people like to be ensconced in their comfort zone, even if the comfort zone is proved to be an illusionary one. These are the hedgehogs. On the other hand are people who take a liberal and multidimensional approach to the world. They are ready to change when new realities unfold and when they gain new information that is more credible than the one they had before. Accordingly, I could say that Ahmed Samatar belongs to the Fox category as he looks at the Somali issue through a liberal and pluralist prism and refuses to tie himself to a procrustean view. He stood for and I believe still stands for not only the unity of the Somali people but also for advocating the establishment of justice, liberalism and democratic norms as well as common decency in the body politic of the Somali nation. But since he started his herculean enlightenment mission among the Somali people he has worked under the assumption that the key to the solution of the Somali problem was to be found in Mogadishu. He saw Mogadishu as the head of the Somali body and thought that if a magic cure was found for the head then the rest of the body would regain its health and strength. But when he ran for Somalia’s presidency in September 2012, he witnessed the messy, corrupt, and harshly nomadic way of practicing politics in Mogadishu. He then realized that Mogadishu after all was not the key to the solution but indeed the root cause of the Somali plight. This was a crucial moment for Ahmed Samatar’s relentless political advocacy for the Somali cause. Naturally, two options could have crossed his mind; to quit politics for good or to change course and being a conscientious scholar who couldn’t just sit down and watch his people wander lost in a political wilderness, he chose the second option; to change direction. Remember as a thinker of the fox category who looks at issues from different approaches and different perspectives, Ahmed Samatar knows how to make a detour when he faces a dead-end. The decision was neither an easy one nor an expedient and a sudden change of heart as some people might like to think. But it was a hard decision that came to fruition after a long deliberation and cautious research. 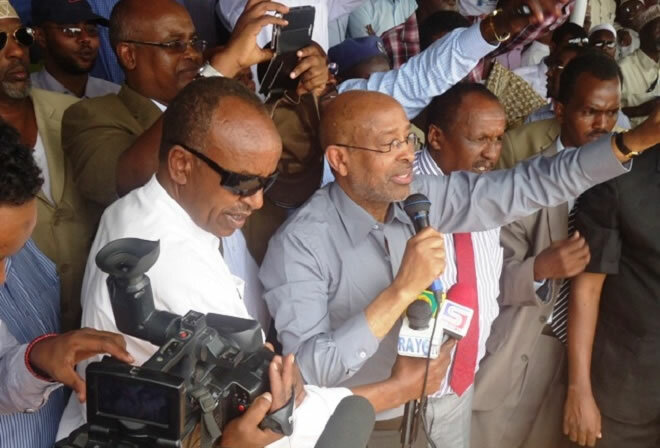 Ahmed Samatar decided rightly and boldly to go to Somaliland to achieve several objectives. ; First, to educate himself about the reality of Somaliland; to see, hear and witness how deeply and passionately the Somalilanders feel about their secession claim and secondly, to explore how strong the foundations were of Somaliland’s unique experience with democracy and government building. Lastly, the trip was more of a personal healing for him than a political adventure as he wanted to relive his childhood memories of the country. 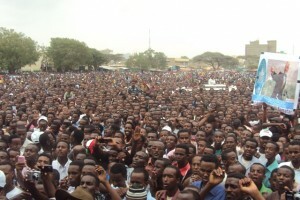 Due to their intransigence and fixation on independence, the people of Hargeisa and central regions can be counted in the category of the hedgehog. Just like the hedgehog they have only one big issue in mind: the recognition of Somaliland. This is why they saw Ahmed Samatar’s visit as a moment of victory. History shows that political causes rarely take off the ground if they don’t win the advocacy of prominent and visionary scholars of international standing. Ahmed Samatar is on par with scholars such Noam Chomsky, who gallantly campaigned for the cause of East Timor, Edward Said who popularized the Palestinian and Arab causes through his heroic scholarship, Eric Reeves who untiringly fought for the independence of Southern Sudan and others. This is why many people in Somaliland saw that winning Ahmed Samatar’s voice and scholarship on their side was akin to winning international recognition for their independence and would deal a blow to Mogadishu’s credibility. The Professor’s homecoming, however, has exposed a great psychological abyss between the Awdal communities and those of Somaliland’s central regions. 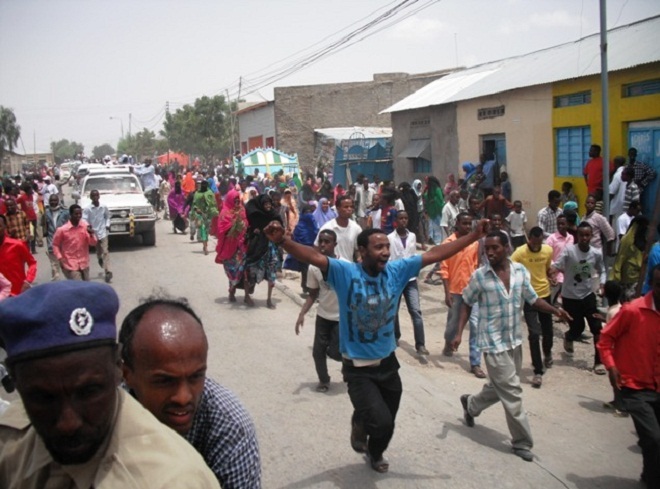 The communities of Somaliland’s central regions are known for their directness and clarity. They either love you passionately or hate you passionately. Their character is black and white, and has a little or no gray areas in between, what you see is what you get. They are very generous with their feelings and very forgiving once misunderstandings are sorted out. Remember (Kal laxeeba baan leeyihiyo laabta xuunshada…). They are straightforward and loud with their intentions. They all came out to welcome the Professor but they made their intentions clear to him without any reservations. 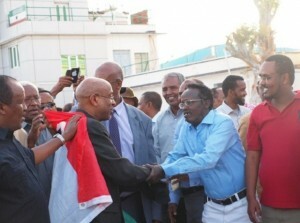 Hence, teasing him with Somaliland’s flag was not for a joke. The people of Awdal on the other hand are all about gray areas. You will never know whether they love you or hate you (Allahayow nin ii daran maxaan daafta hore seexshay…). They are stingy with their feelings, opaque and reserved with their intentions. 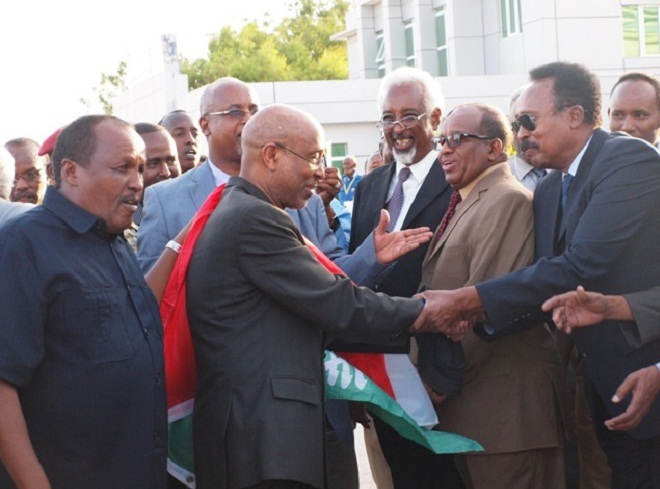 The fact that they carried no Somaliland flags while welcoming the Professor but they all chanted in unison with him when he shouted “Somaliland ha noolaato” (Long Life to Somaliland) is itself a good example of their enigmatic personality. 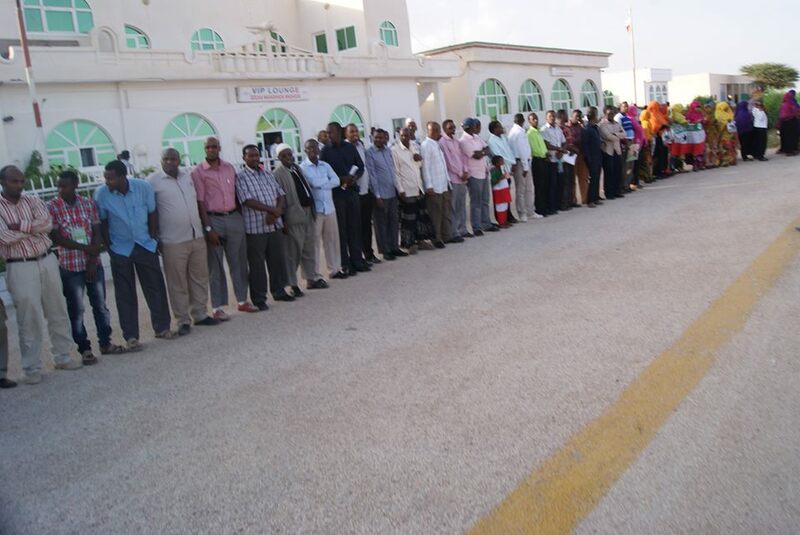 Are they loyal Somalilanders or are they not, the jury is still out. 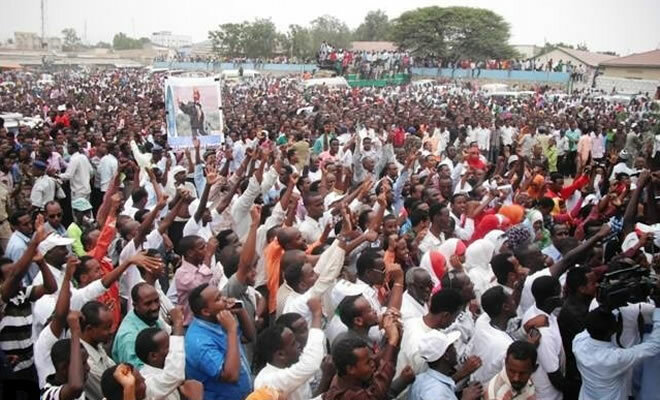 The people of Awdal gave a hero’s welcome to Ahmed Samatar as they thronged out in their thousands to the streets, singing, dancing and carrying his pictures. 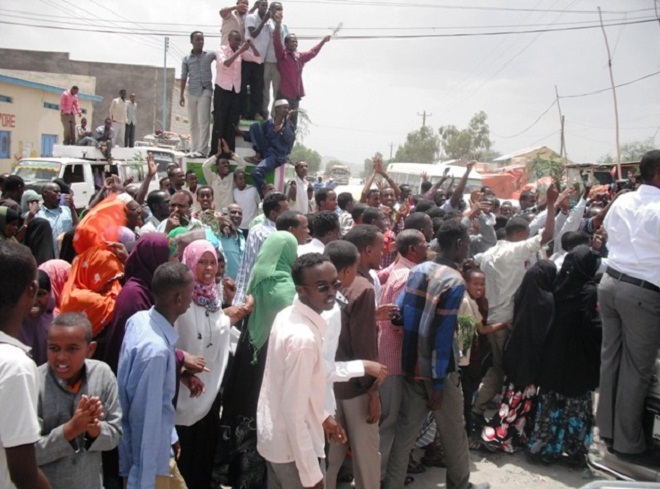 The ecstatic crowds that filled the streets in the villages and towns on the main highway from Dilla to Borama city was a strong political statement with multiple messages or “Dhagaxaan tuurow, todoba dilow, toddoba duqood” as a friend who called me from there described the feeling of the people. First, it was a show of force and a strong message to Mogadishu where the Professor failed in his bid for Somalia’s presidency despite being a formidable candidate with a powerful political agenda and vision for Somalia. Second, it was a candid expression of admiration for what they saw as his courage and principled stance over the years in being an advocate for Somali unity, a secret yearning that most Awdalians keep close to their heart despite their ostentatious support for Somaliland, part of Awdal people’s enigmatic character. Third, the Professor’s arrival has cemented the unity of the Awdal community and has given them the hope that he would be a powerful voice to champion their rights in Somaliland and beyond. Finally, Professor Ahmed Samatar’s return to Somaliland sends a strong message to Somalia that Mogadishu cannot have it both ways. It cannot be the capital of Somalia and project an image of inclusiveness and national identity to the outside world while at the same time it practices a politics of exclusion and clan profiling. It says Mogadishu has a choice to make; to be a place where every Somali child no matter where he is born can have the right to dream to rise to its leadership or permanently doom Somalia to its current fate of cantonization. 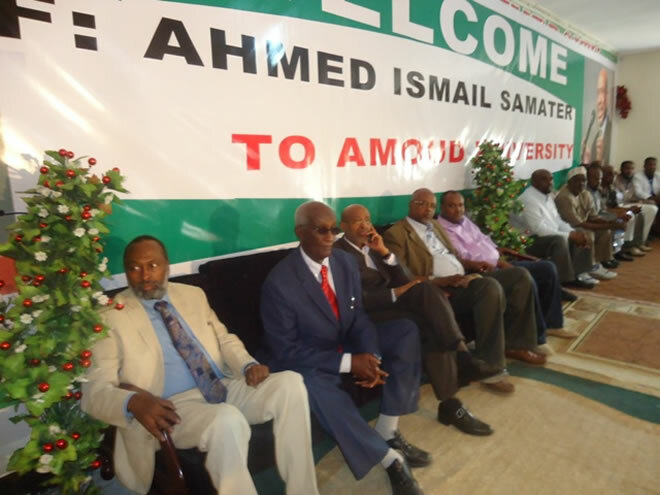 Obviously in Somaliland, Professor Ahmed Samatar has a tightrope to walk. Time will tell whether the hedgehog will win with its fortified wall of spikes or whether the fox will outmaneuver and blunt the spikes one after another. However, on Somalia, the Professor has already won the debate. And I hope our brothers in Mogadishu would heed the lesson. The AfricaPaper: We are delighted to welcome Bashir Goth to The AfricaPaper. Mr. Goth will be covering Somaliland, Somolia, and the Horn of Africa for The AfricaPaper and its parent organization the Africa Institute for International Reporting (AIIR). Ahmed’ message was very abundant that he truly wants to bring change to Somaliland . Being in this crowd (BORAMA), I was inspired by Prof. Samatar’s lectures: especially the one he presented at Amoud University hall. To describe his personality, in my view, on the basis of this article and his lectures that I attended or listened to, he is a man of great experience. Besides the Somali people, he can contribute much to this world in general, and to the African continent in particular. I’d recommend that Prof. SAMATAR should be elected as the Secretary General of the United Nations. I’m impressed, I have to say. Certainly rarely do I encounter a new website that’s both educative and entertaining, and let me tell you, you’ve hit the nail on the head. Your concept is outstanding; the issue is some thing that not enough people today are speaking intelligently about. I’m quite happy that I stumbled across this in my search for some thing relating to this. zjmil.